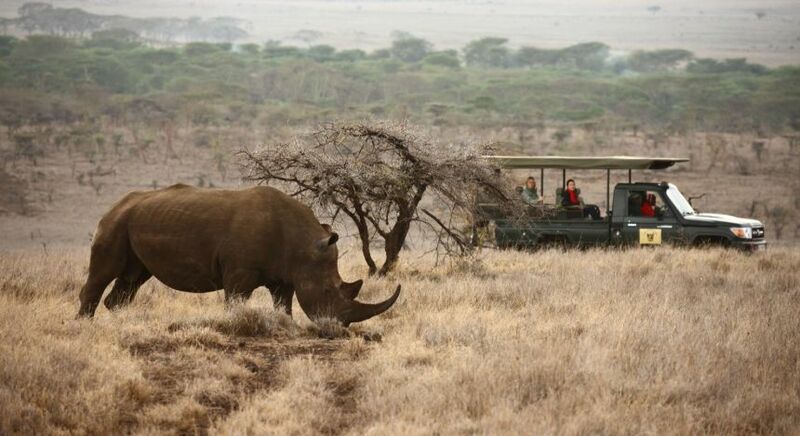 Planning a wildlife tour? 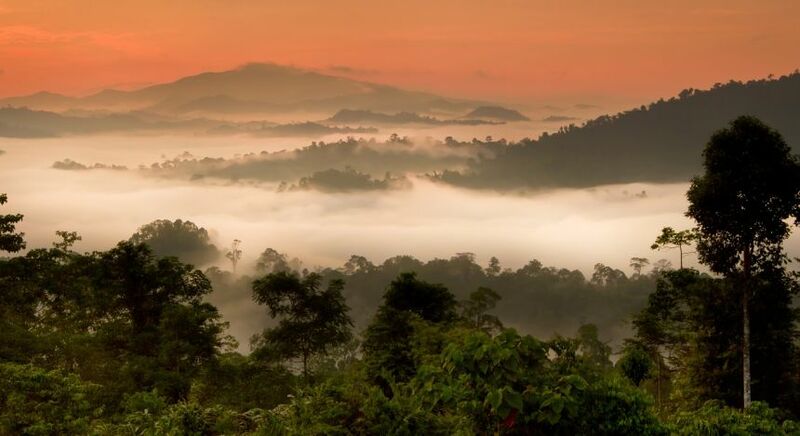 From underwater expeditions in the depths of the oceans to the best African safari tours and the jungle jaunts in Borneo, journey to where the wild things are. Come away! Come away with us! There are many wild things out there, swimming, frolicking and swinging around in their natural habitat, as the world changes around them. 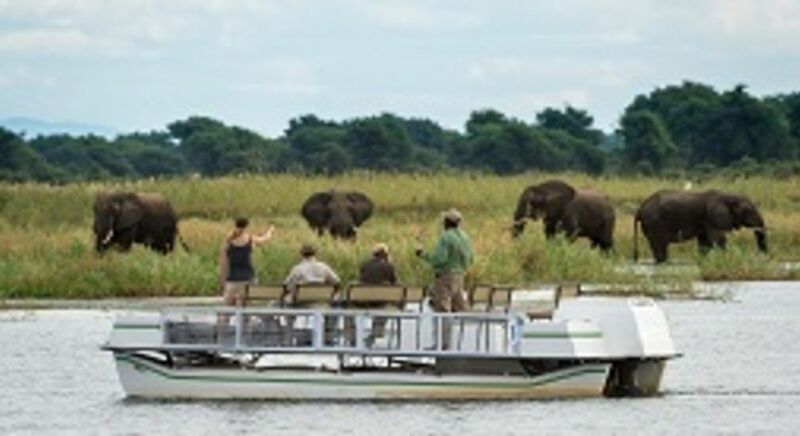 We have selected some of our most exciting wildlife safari experiences across water, land and the trees, to ensure your next vacation is ever more enchanting – and educational. Some of these species are critically endangered and we believe the best way to conserve them is to understand them. Mafia Island also hosts an abundance of colorful fish, well-preserved coral reefs, and opportunities to dolphin watching. 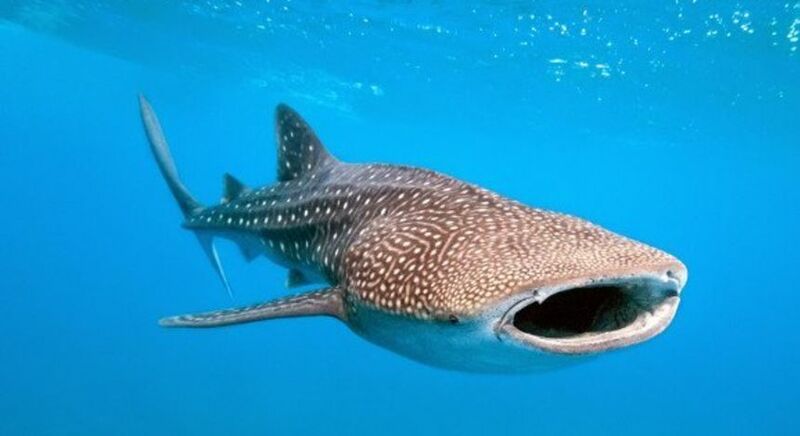 On your Tanzania vacation, meet the biggest fish and shark in the world – the whale shark. It may have a ferocious name but it is a solitary gentle giant of the global oceans. At certain times of the year, these mammals congregate to places in feeding areas where it can swallow vast amounts of plankton with its filters with its mighty mouth, almost five feet wide! Mafia Island in Tanzania, home to white sand beaches and crystal clear waters, is an ideal spot for witnessing these majestic creatures, which each weigh eleven tons, in action. This is an unforgettable experience. Whale sharks have their own distinctive markings, just like human fingerprints, which help conservationists track individuals. Mafia Island also hosts an abundance of colorful fish, well-preserved coral reefs, and opportunities to dolphin watching. 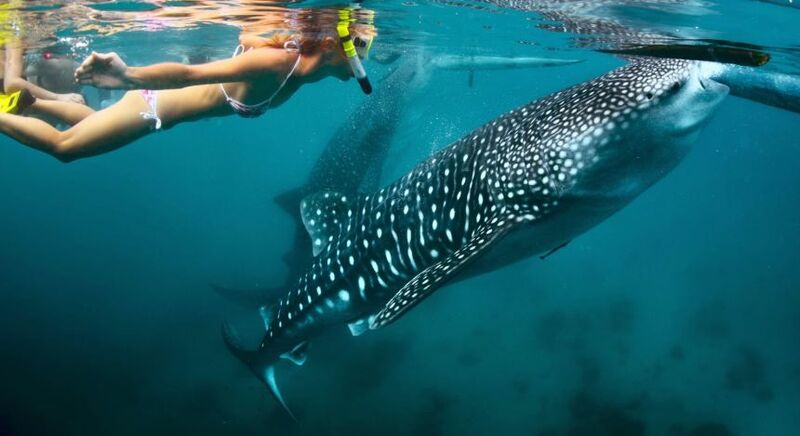 Read more about swimming with whale sharks in Mafia during your luxury African tours. As the world’s largest reptile, the Komodo dragon, also known as the Komodo monitor, can weigh up to 70 kilograms and be 10 feet in length. Don’t be tricked into believing that dragons are mythical creatures. 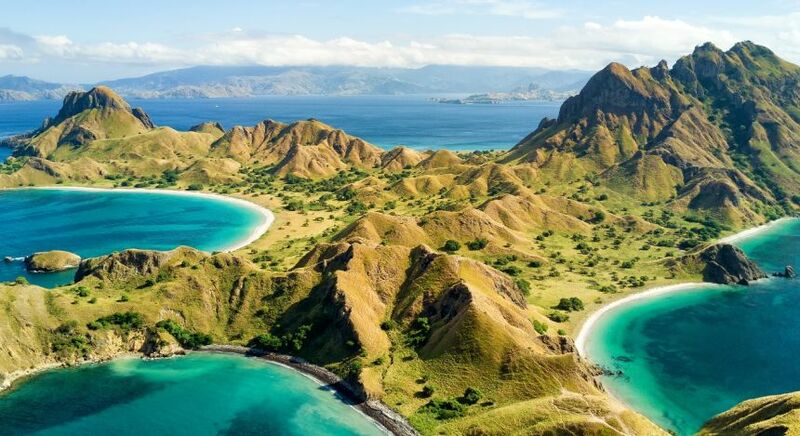 You probably haven’t ventured to Komodo National Park, in Flores, Indonesia. 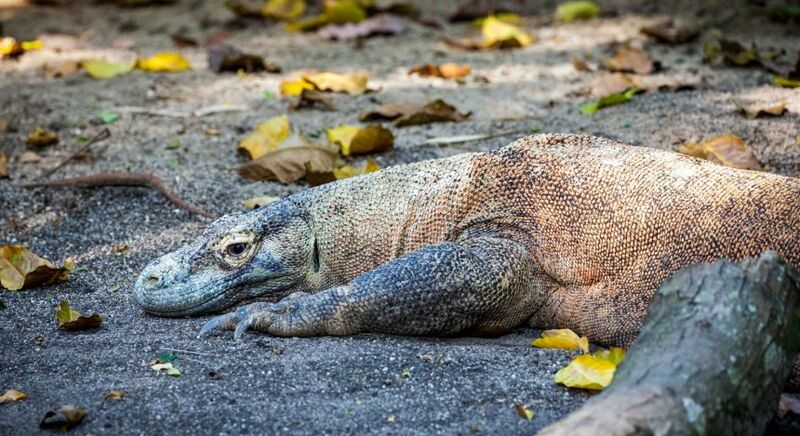 As the world’s largest reptile, the Komodo dragon, also known as the Komodo monitor, can weigh up to 70 kilograms and be 10 feet in length. A short flight from Bali, a local guide will accompany you through the park’s craggy landscape to discover these mystical, vulnerable creatures, which dominate the ecosystem, and look like they are from the land before time. 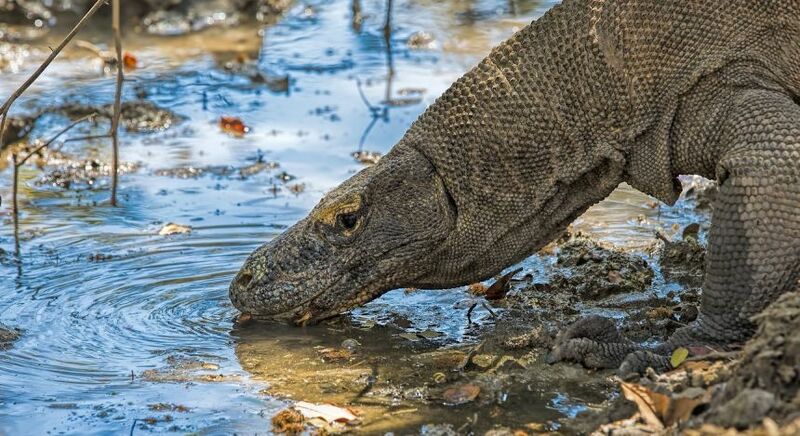 Fossils of the Komodo Dragon were found in Australia, and paleontologists dated them as being over 3.8 millions years old, so this species has certainly endured a curiously long history. There are also plenty of other native inhabitants, including deer, wild boar, and a plethora of bird species. Our resident wildlife enthusiasts will be happy to plan the perfect Indonesia travel itinerary for you! Other popular sightings include the soulful southern right whales, and the flightless Magellanic penguins, which are an endangered species. 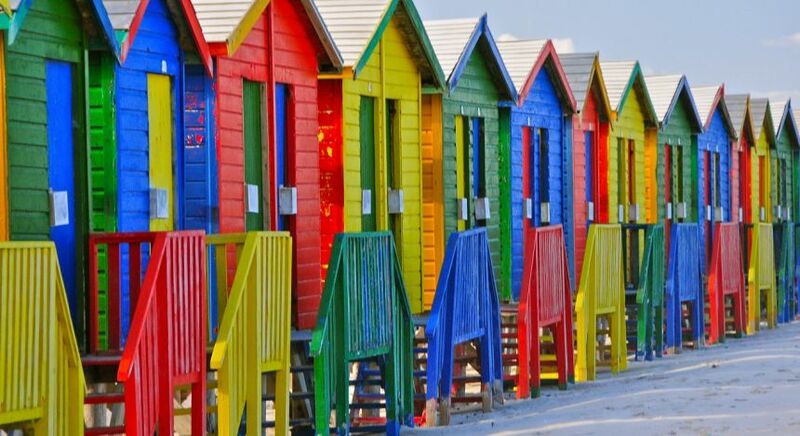 From the colorful tango-tempoed streets of Buenos Aires, allow your heart to beat faster when you head to the Península Valdés, in the Argentine Patagonia. 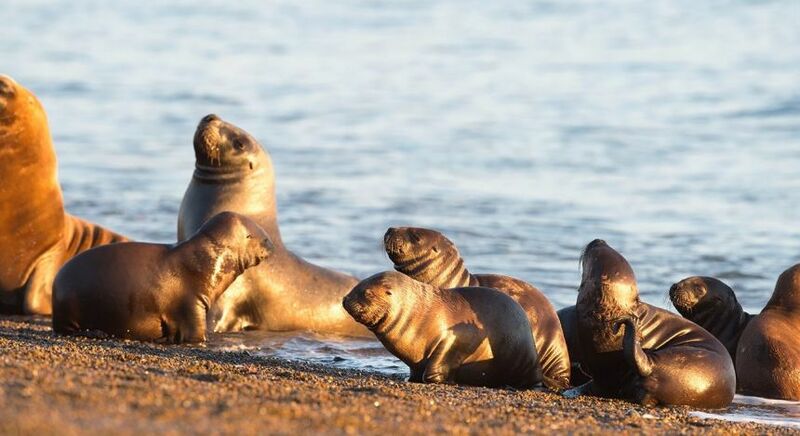 A UNESCO World Heritage site, this breathtaking nature reserve, is home to sea lions, which grace the shores in lazy reunion as their choice of breeding ground and to rear their young. If you hold a diving certificate then you have the opportunity to go diving to witness these creatures underwater, as well as elephant seals and fur seals, or during a boating excursion. Other popular sightings on your Patagonia trip include the soulful southern right whales, and the flightless Magellanic penguins, which are an endangered species. 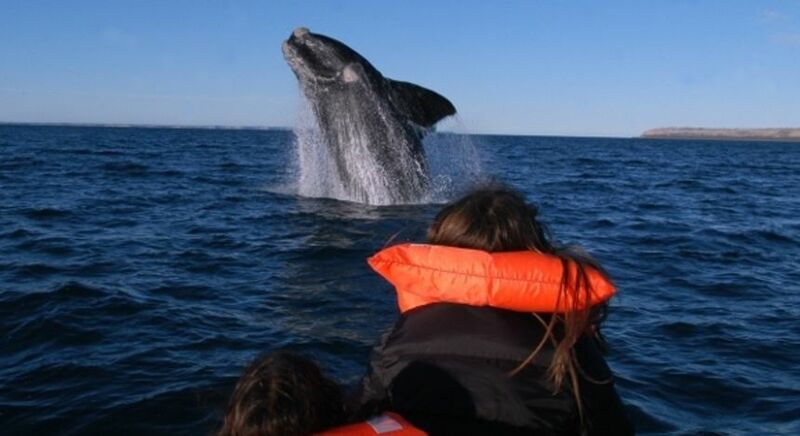 Best time to visit: All year around – but we recommend mid-June to early December for whales, and from September to mid-March to also see penguins! The beaches in the Seychelles are divinely luxurious, and are an ideal place to relax after your safari in Africa! Turtles are a fascinating group of reptiles, having graced the earth and traveled the ocean for over one hundred million years. 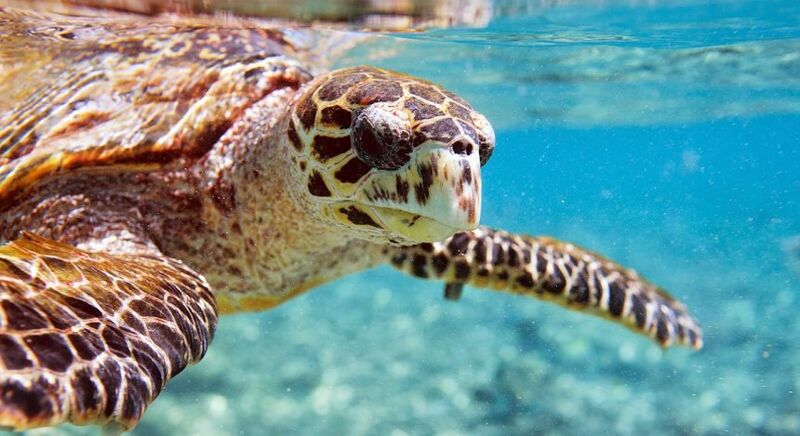 The Hawksbill turtle is a critically endangered sea turtle, due to its colorful and patterned shells that glimmer in the sunlight, and are highly prized globally. Named for their narrow, pointed beak, they use this to feed off sea anemones and jellyfish from craggy narrow reefs. This is a breathtaking species to observe, safely away from disturbing them, as they crawl out onto the shores of islands in the Seychelles, where they choose as a safe breeding ground. Always going back to the same beach despite swimming thousands of miles every year, hawksbill turtles have an innate sense of direction, which appears to be mysteriously passed down the generations. 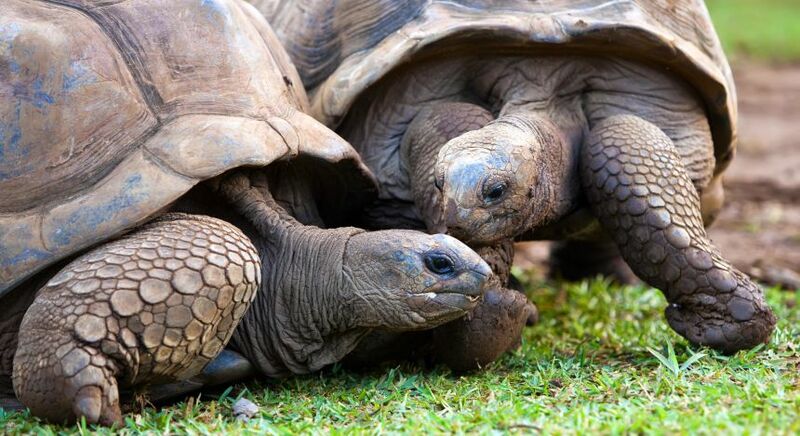 Another wonderful species in the Seychelles is the Aldabra giant tortoise, which can live for over one hundred years and be larger than an adult Saint Bernard dog. 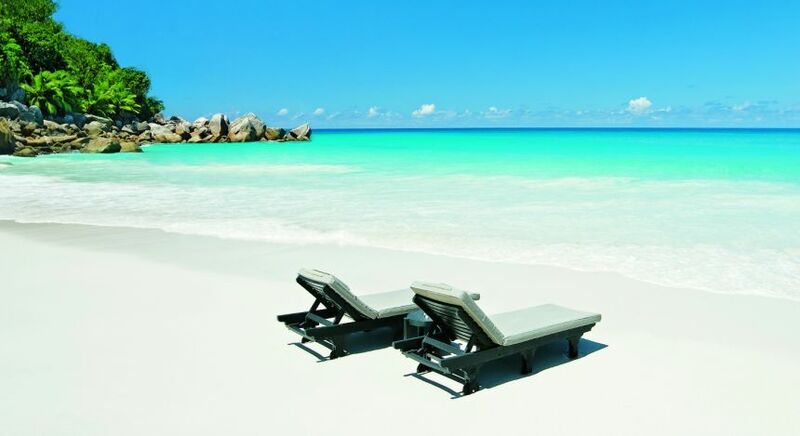 The beaches in the Seychelles are divinely luxurious, and are an ideal place to relax after your safari in Africa! Best time to visit: April, May, October and November. African penguins are small creatures boasting a black stripe and black spots on their chest, the spots identifying each of them just like human DNA. 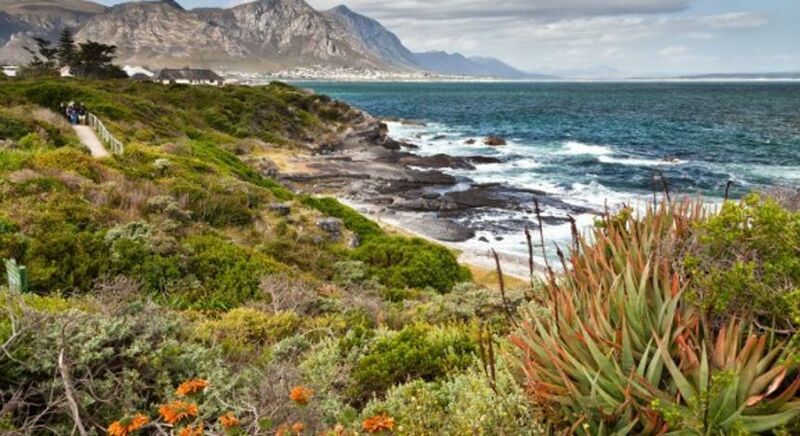 After experiencing the fascinating cultural and colonial experiences that abound in Cape Town, head down the Cape Peninsula coast on a short trip to Boulders Beach. Penguins have a comical approach to life, and it feels like there is never enough time watching these birds roam freely around the beach from a raised platform, so as to not disturb their nesting activities. It is an unusual spot to find penguins so close to a busy metropolis, and yet in 1982, a colony of African penguins decided to settle and make this their home. 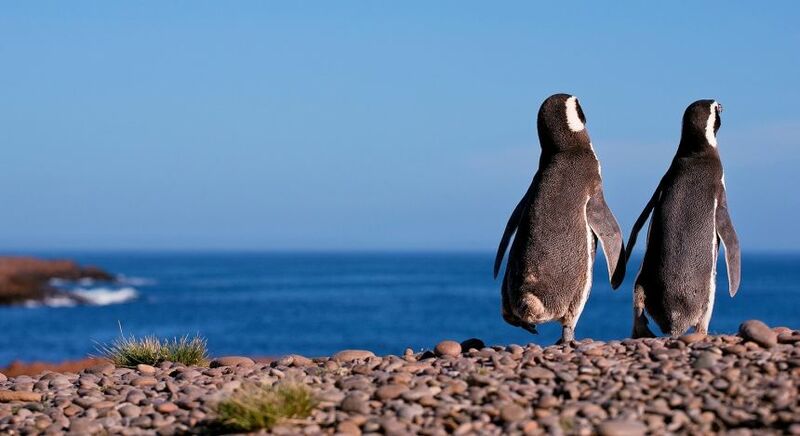 Today over 3,000 penguins inhabit Boulders Beach. 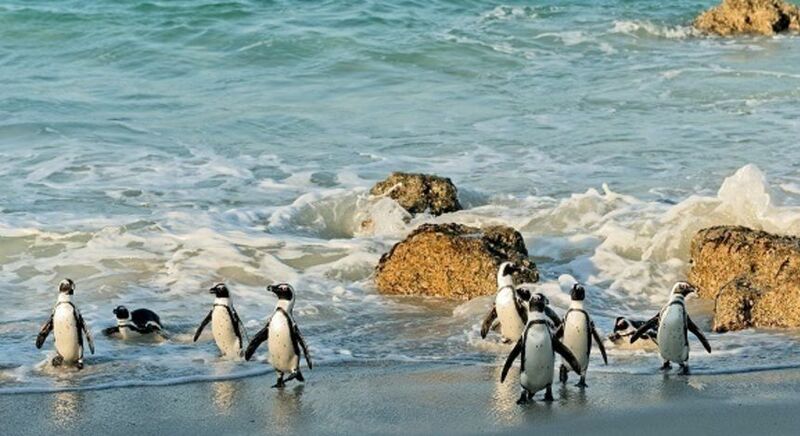 It is not infrequent for residents living in the area to find the penguins leaving their beach to make their own discoveries into the neighborhood. African penguins are small creatures boasting a black stripe and black spots on their chest, the spots identifying each of them just like human DNA. 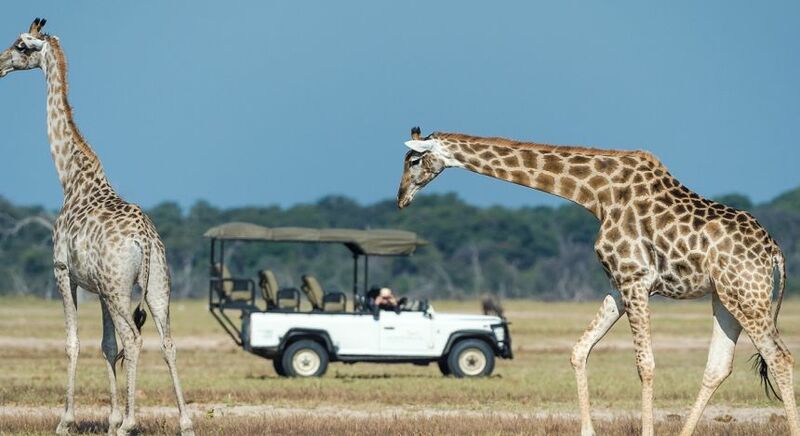 Our experts are happy to recommend the best routes and South Africa safari lodges for your tailor-made South Africa vacation. The black rhino population in Africa has risen to over 5,000. Witnessing a rhino up close is a revelation, not just because they are grandiosely wild, but also as they are critically endangered. Once the favorite of 20th century European hunters, now it is poachers for the Asian markets who wish to get their hands on the rhino’s prized single horns (1 kg of horn can be sold for $60,000 on the black market) This is ironic, considering they consist of the same substance – keratin – as a human fingernail. 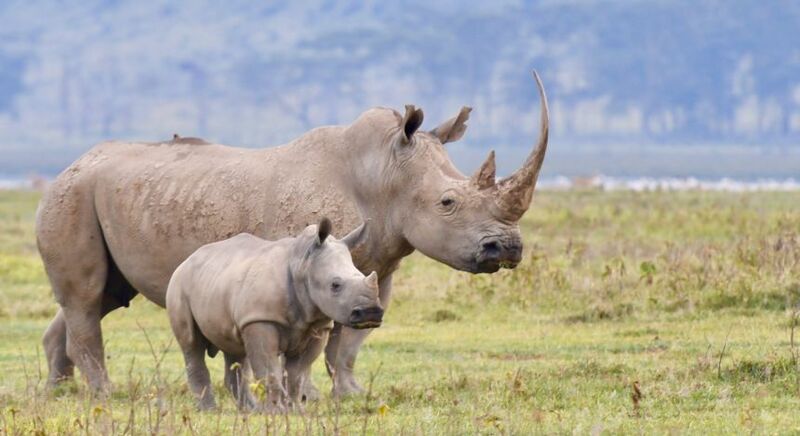 These odd-toed mammals are best found in Ol Pejeta Conservancy, which protects the last three remaining northern white rhinos, and 113 black rhinos, which is the largest black rhino conservancy in East Africa. Amid the shrub, grassland and savanna, Ol Pejeta has trained armed protection squads and spend time tracking and gathering data on individual rhinos. 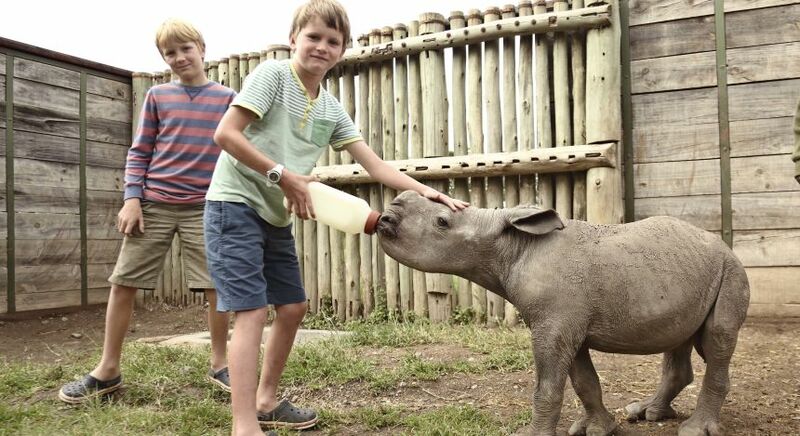 The black rhino population in Africa has risen to over 5,000. Did you know? There is no color difference between black and white rhinos. Black rhinos are smaller, shyer and tend to hide in brushy thickets, using their hooked lips to feed on shrubs.The white or ‘weit’ (Afrikaans word) rhino has a hairless square upper lip. 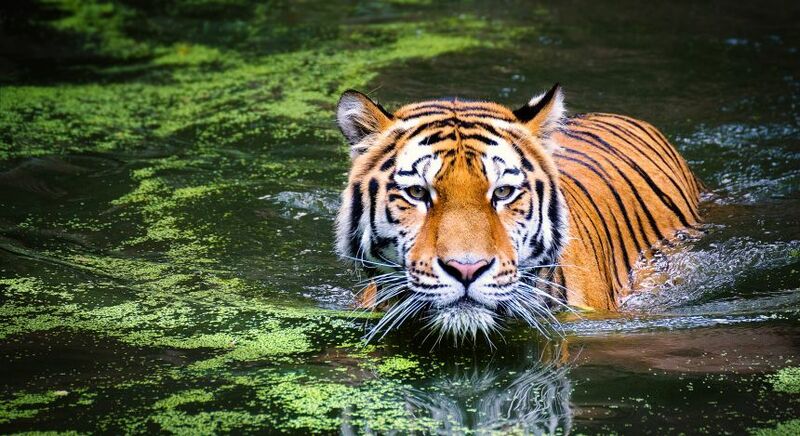 The largest of all Asian big cats, tigers are solitary hunters who use sight and sound to catch their prey. 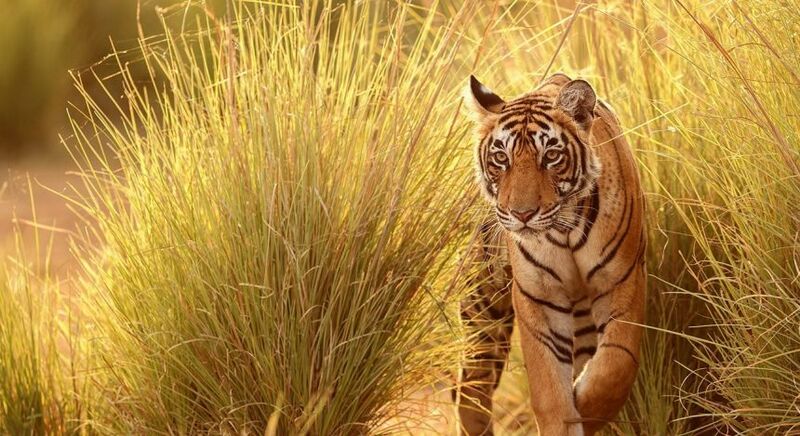 Away from the exotic charm of India’s bustling cities are stunning national parks in central/west India, where there is a healthy population of the endangered Bengal tiger. Over the last century, tiger populations were on the decline due to deforestation and poaching, but promising conservation efforts have led to at least 3,890 tigers in the wild. The largest of all Asian big cats, tigers are solitary hunters who use sight and sound to catch their prey. There is no better place to observe them in their natural habitat than in the national parks of Bandhavgarh, Pench, Kanha, Satpura and Panna, which vary in landscapes from tropical and evergreen forests to savannas and grasslands. 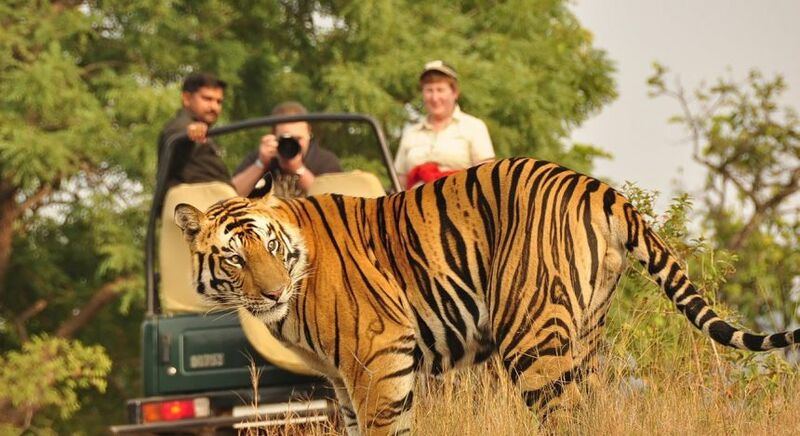 Read more about tiger safaris in India. Prepare to spot these wild things quickly! 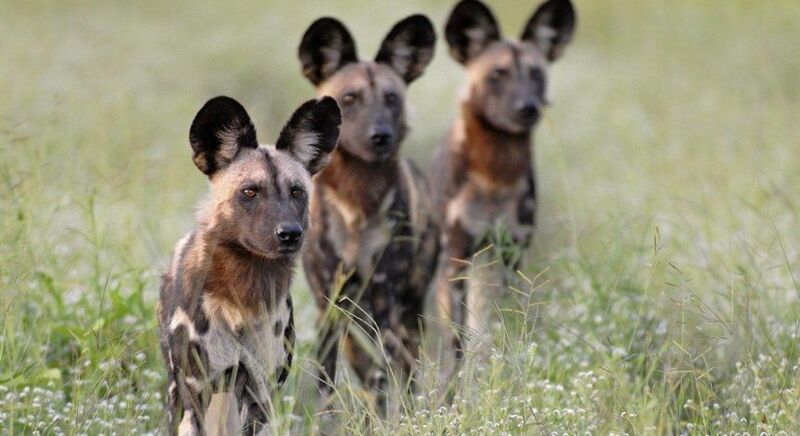 African wild dogs are fast on their feet, as they are able to reach speeds of 70 kilometers per hour! They require these fast movements as opportunistic predators, ready to grab a unwitting gazelle passing by. As the world’s most endangered mammal populations, with just 6,600 remaining, you are most likely to find these social creatures in packs of ten up to 40 in Hwange and Mana Pools, in Zimbabwe. 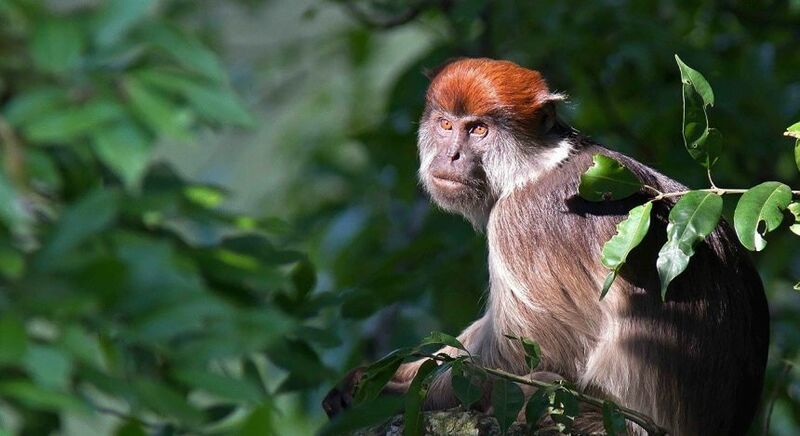 Visit these endangered mammals in Rubondo Island National Park, Tanzania, where forest covers 80% of the island and boasts an impressive Chimp Habituation project. Coming face to face with a chimpanzee is like looking in the mirror when you are in need of a vacation. 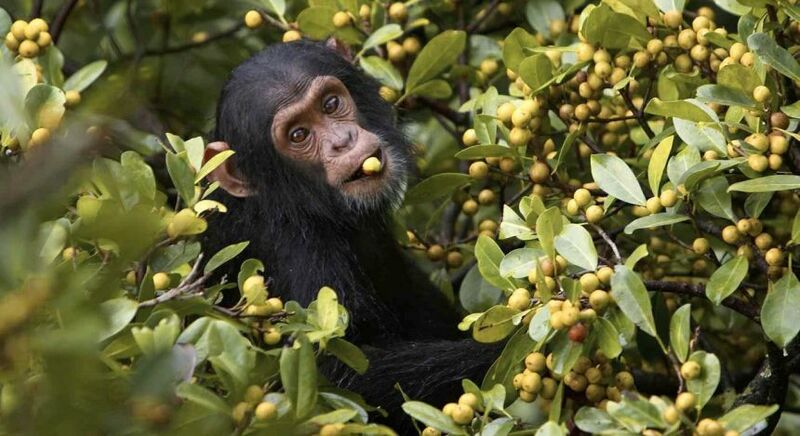 Jokes aside, chimps are the closest relation to humans sharing 98% of the same genes. While they tend to walk on all fours, they can also walk on their legs for up to 1.6 kilometers. 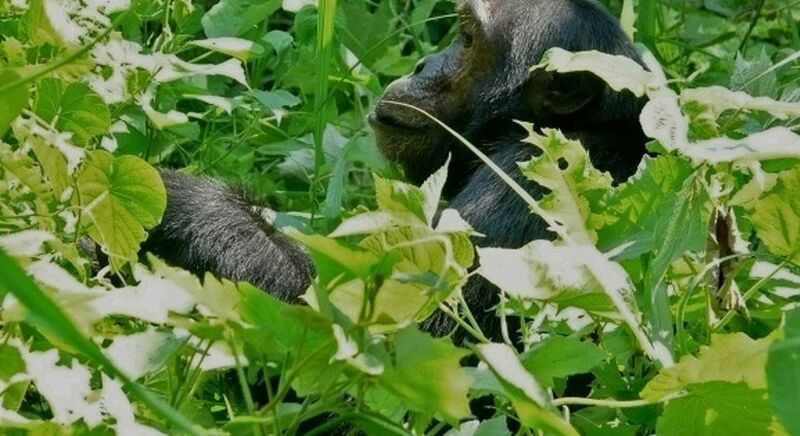 Chimps can be found in the heart of East Africa’s forests, where they love to hang around in the treetops, and eat fish termites and uses leaves for their drinking water. 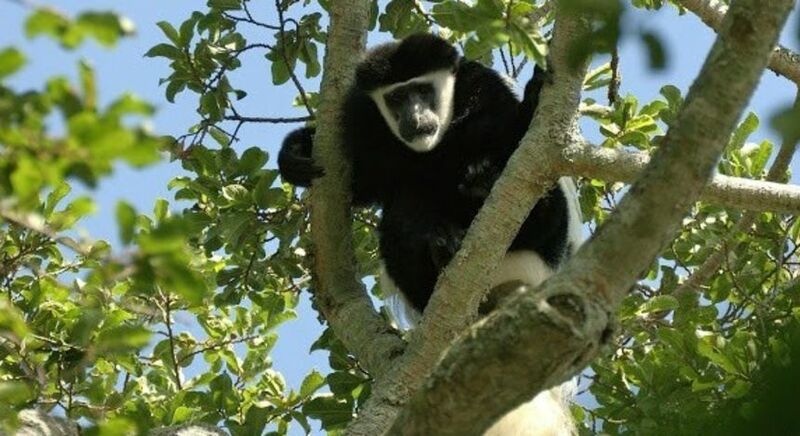 We recommend you visit these endangered mammals in Rubondo Island National Park, Tanzania, where forest covers 80% of the island and boasts an impressive Chimp Habituation project, which successfully reintroduced these endangered species and now have a healthy population To witness these chimps, it’s somewhat of a trek, but absolutely worth it. Having said that one cheeky chimp was found breaking into the camp to drink a bottle of alcohol! 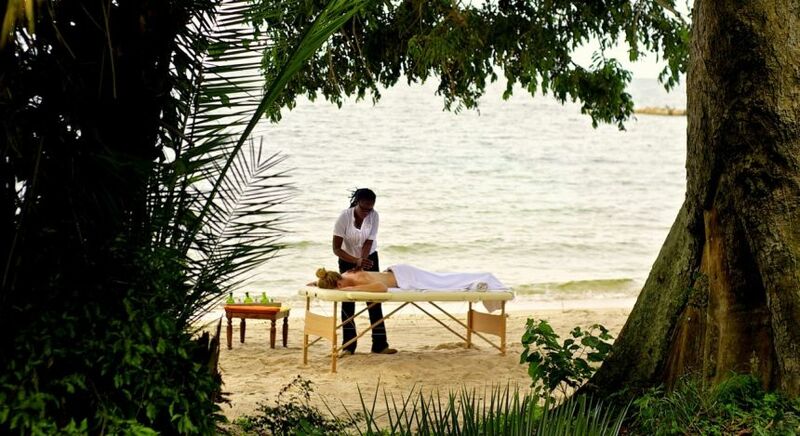 Read more about Rubondo Island tours. 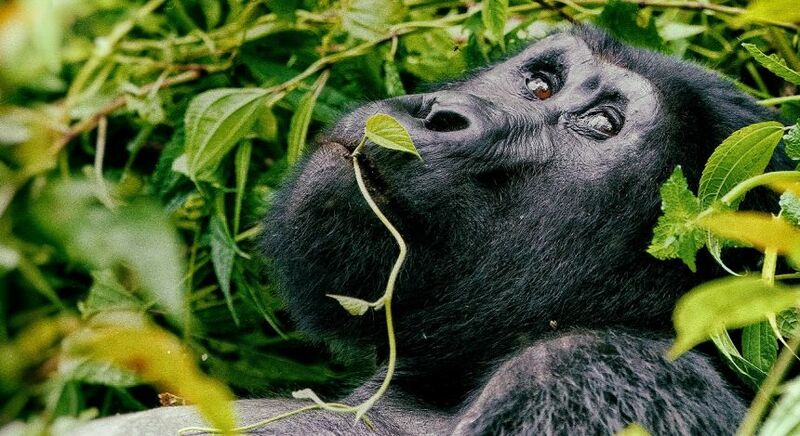 In the mountains of East Africa, half in the Bwindi Impenetrable Forest of Uganda, and half of tin a range of extinct volcanoes in the Virunga Mountains of Rwanda, are the critically endangered mountain gorillas. There are approximately 880 mountain gorillas left in the wild. The good news is that numbers are on the rise due to conservation efforts. An experienced naturalist will be with you every step of the way until you come eye to eye with these enormous creatures. You need to be fit and prepared for an uphill trek. 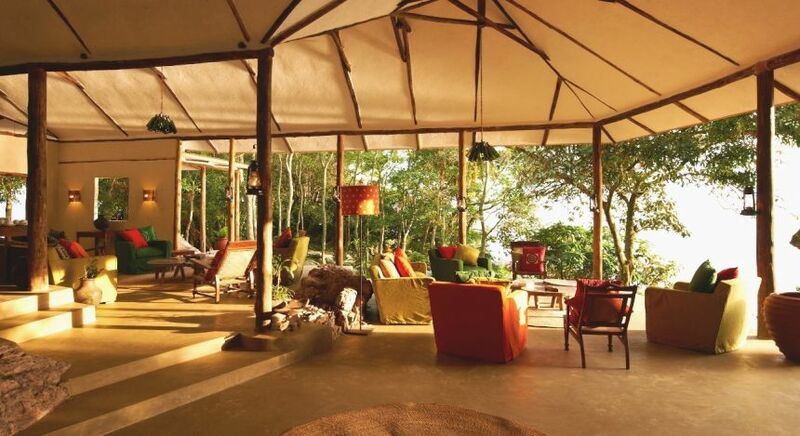 We promise you – it is worth it for this enchanting trip of a lifetime! When you have come eye to eye with a peaceful looking family of gorillas, some weighing up to 200 kilograms, life is complete. Spot wild orangutans in their natural habitat—possibly the only natural habitat left on this planet for these beautiful creatures! 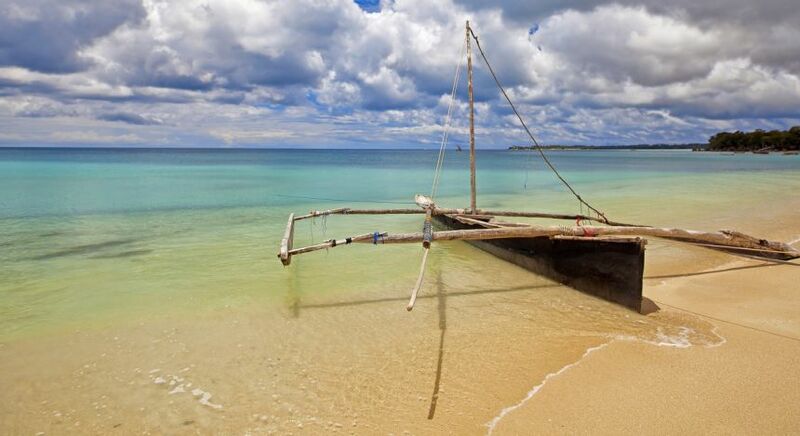 Take in a jungle safari on wooden river boats and across bamboo bridges. 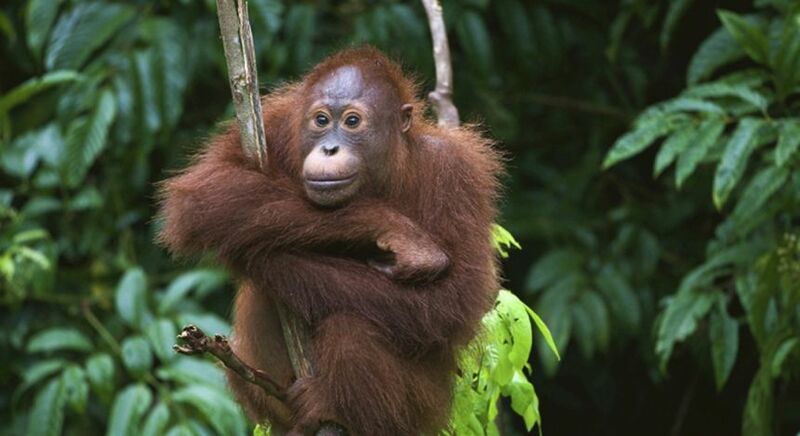 But most importantly, spot wild orangutans in their natural habitat—possibly the only natural habitat left on this planet for these beautiful creatures! You can also head to a feeding area for baby orangutans along the Seikonyer River. Discover the wilderness on your private wildlife tour in Africa, Asia or South America. Our destination experts are happy to customize your obligation-free itinerary.